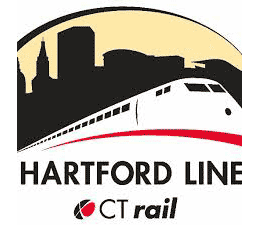 The Connecticut Department of Transportation has released the proposed fares for the upcoming CTrail Hartford Line rail service and announced a 35-day public comment period, from October 23 through November 27, 2017. You can find the service description, proposed fares, and related information on the Connecticut DOT website at www.ct.gov/dot/hartfordlinecomments. Send a letter via US Mail to Hartford Line Comments, Bureau of Public Transportation, 2800 Berlin Turnpike, P.O. Box 317546, Newington, CT 06131-7546. Meeting facilities are fully accessible to persons with disabilities. Language assistance may be requested by contacting the Department's Office of Rail at 203-497-3374 at least five business days prior to the meeting. Persons with hearing and/or speech disabilities may dial 711 for Telecommunications Relay Service (TRS). Language assistance is provided at no cost to the individual making the request and efforts will be made to respond to timely requests for assistance. When Hartford Line service begins in 2018, CTrail and Amtrak will provide 17 roundtrip trains between New Haven and Hartford each weekday; 12 of these 17 roundtrip trains will continue to Springfield. Travelers in New Haven, Wallingford, Meriden, Berlin, and Hartford will board trains every 45 minutes during the morning and evening peak hours, and approximately every 60-90 minutes during off-peak periods. Weekday service will begin as early as 6 AM and run as late as 11 PM, providing a convenient alternative to driving for people traveling to work, school, or for leisure throughout this corridor. Hartford Line trains will operate at speeds up to 110 mph, reducing travel time between Springfield and New Haven from an average of 89 minutes to 81 minutes, a travel time savings of 8 minutes. The Hartford Line will also provide direct or connecting rail service to New York City, Boston, and Vermont and local connections to CTtransit and CTfastrak.